One of my favorite ways to end a meal is with a cup of mint tea. I’ve never been too picky about the type of tea that I drink; but then last year I had the pleasure of drinking my first cup of Moroccan Mint Tea by Cérémonie Tea — and I learned that there is a world of difference! Based in Israel (you know I love anything made in Israel), Cérémonie started selling its high quality whole leaf teas and herbal infusions to markets in the US and Canada last year. I met the lovely team behind Cérémonie at least year’s Kosher Fest and was thrilled when they offered to send my family a package to sample the rest of their delicately infused flavors. While I hoarded the mint tea (I wasn’t kidding when I said it was my favorite! ), I did generously share the rest of the sampler pack with my tea-loving family, as well as my guests. Each and every one of them was wowed first by the gorgeous packaging (sometimes you can judge a tea by its bag! ), and then, of course, by the incredible flavor of the Cérémonie teas. The Ginger Peach and Indian Chai were especially popular, but all were liked and enjoyed. Cérémonie has redefined the Israeli tea market by introducing whole leaf teas and highest quality herbs, spices, and flowers, creating delightful taste and aroma wrapped in eye-catching designs. In the winter of 2013, American-Israeli entrepreneurs, Efrat and Elli Schorr, acquired Cérémonie Tea Ltd. Together, they developed a new line of English-language packaging for its widely popular pyramid tea for specialty grocery stores, preserving the luxurious look of the Cérémonie brand, while conveying a warm and approachable feeling to the US consumer. US and Canadian customers can purchase Cérémonie’s Tea exclusively online from the organic retailer, Abe’s Market. If you’d like to give this delicious tea a try (it would make a wonderful hostess gift for Sukkot! ), I have good news for you: Thru September 28, you can get FREE shipping on your entire order from Abe’s Market, including Cérémonie Tea, when you use the coupon code bamboo at checkout. And, because Cérémonie is so lovely, they have also offered to give away three mini-cube variety gift packs to three lucky KOAB readers. Cérémonie Mini Cubes are tea experiences in individual, beautiful crafted mini cubes. The distinctive cube package holds a mesh tea sachet that is bursting with the bold taste of whole leaf tea, fine herbs, and spices. This Variety Gift Pack contains 10 assorted flavors, two Mini Cubes for each of the 10 flavors. The flavors included are Earl Grey, English Breakfast, Moroccan Mint Green Tea, Sencha Green Tea, Jasmine Green Tea, Lemongrass & Verbena, Chamomile Flowers, Ginger Peach, Indian Chai, & Wild Berry. Retail value: $14.99. To enter this giveaway, simply follow the instructions on the Rafflecopter widget below. 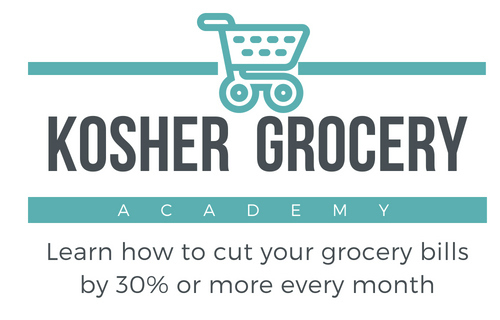 If you’re reading this post in your email, you may need to click thru to KosheronaBudget.com to see the widget. This giveaway is open only to residents of the United States, Canada or Israel who are 18 or older. Entries will be accepted until Monday, September 29th at 11:59 p.m. EST. The winner will be selected at random and be notified via email immediately. He or she will have 48 hours to respond. Good luck! All Cérémonie Tea products are certified kosher by the OU. Disclosure: I received a gift pack from Cérémonie Tea to facilitate my review. All opinions are my own. I was not otherwise compensated for writing or hosting this giveaway. I do have a financial relationship with Abe’s Market. I am disclosing this in accordance with FTC regulations – and because it’s the right thing to do. Learn more in my Disclosure Statement. September 18th was last Thursday…is this giveaway still active? oops – Thanks for catching that. I updated it – it’s still active! Thanks, that was my question as well! Shana Tova!!! i would love to win the tea sampler and share it w/ my “machitenis” as they are british and would appreciate good tea (especially from israel). thanks for the contest.